I thought this was a nice shot of my breakfast from the other day. 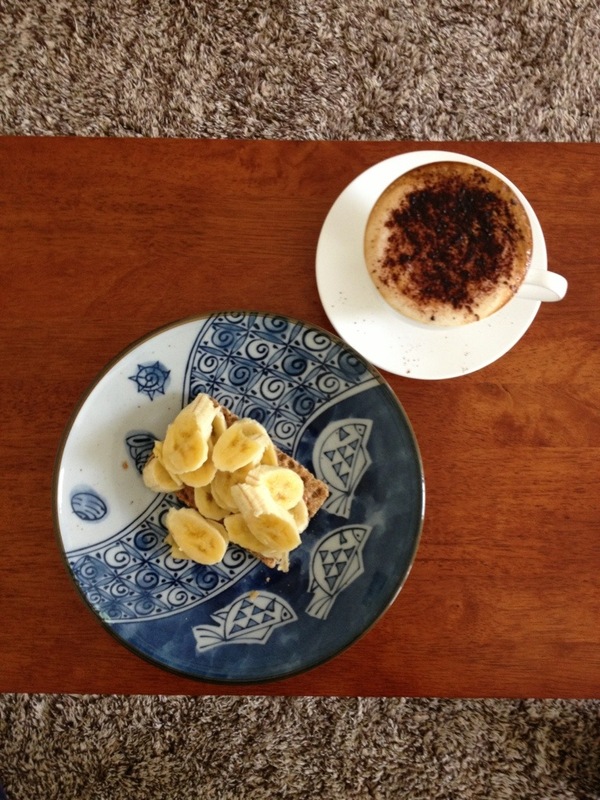 Food wise, it was just a rye cracker, almond butter, banana (must be ripe!) and a coffee. Tasted good! Color wise, I love how the blue of the plate along with its design contrasts so well with the browns from the table and rug.